is an acoustic duo. We livE aboard, sailing and singing the Atlantic eastern seaboard, FLORIDA and BAHAMAS. Gospel Ship is our Double CD FEATURing 5- string banjo, GUITAR AND VOCALS. Our tour will continue in 2019 to nova scotia. 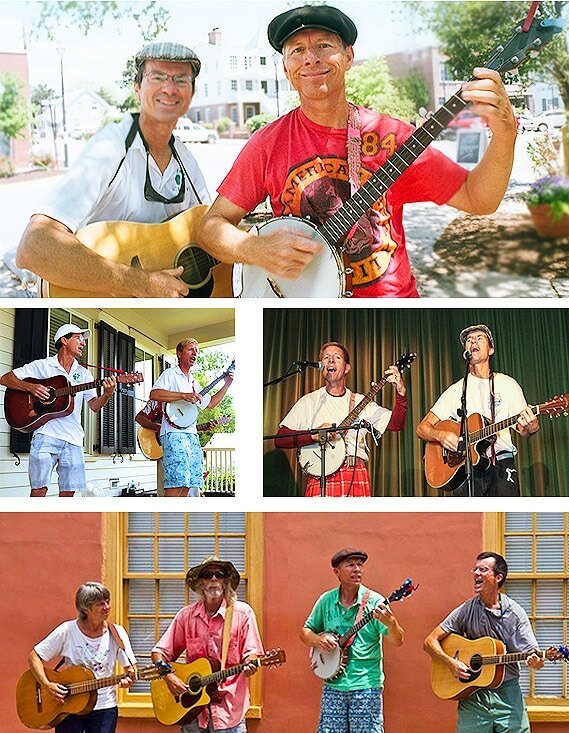 At Old Front Porch Music Fest and St Augustine with special guest musician Dave on guitar.